How do you “go viral?” Dollar for dollar, a successful viral video will do more for your bottom line than any other single marketing activity you can think of. It is like hitting it big in Vegas. However, like hitting it big in Vegas, it comes only rarely. Viral success will make or break itself, and once you put out there, you can do very little more to contribute to its success. The slightest hint of self promotion will usually disqualify you in the eyes of a suspicious world. With one exception. 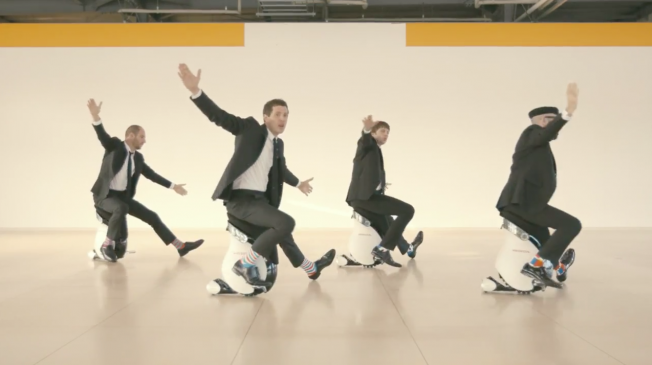 The band OK Go are masters at viral video. Their investment in production and creativity of their videos make them the closest thing out there to a predictably reliable success. Take a look at some, including their newest. I don’t suggest you try to emulate their success, but your own addiction to watching, and yearning for more of these will tell you what good viral marketing achieves. Their first. The famous Treadmills. Rube Goldberg. Another renowned video.